Normal or general psychology is the scientific study of entire behavior of human Human and animal. But abnormal psychology is the study of sick or abnormal state of human. These two branches are further divided into other sub-branches like general or normal psychology is divided into individual, group, social, applied and other sub-branches. 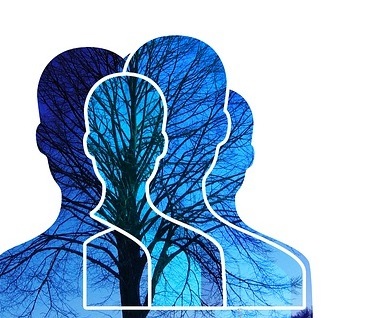 Abnormal psychology is divided into only two sub- branches individual and group. There are a few more sub-branches other than these sub-branches but that will not be described here. Applied psychology influences only these scopes like educational psychology, Industrial Psychology, religious Psychology are the other sub-branches of applied psychology. Here we will study about educational psychology. Education and Psychology are closely related, this topic has been enlightened in the previous chapters too. Through psychology we gain knowledge about human mind. Therefore, its relationship with education is mandatory. In the field of psychology, Psychologists have explained behavior through different means. Educational Psychology is applied branch of psychology. To study the behavior of people from different point of views and instructor needs to have a thorough knowledge of serial development of psychology. So that he brings change in the behavior of his pupil by influencing him in order to attain the desirable result. Difference in the ideas of psychologists in the development of psychology and the explanation of behavior resulted the origin of different schools. These schools explained not only the nature of behavior but also brought changes in the ideas of educational psychology, studies methods and scope. Meaning of the Schools of Psychology—Here the meaning of school indicates towards the method of thinking and ideas of organized group of the people working in the field of psychology. This statement clarifies that the school of psychology is such a group of people who do theoretical determination in the field of psychology and gives it a nature of scientific research. In the 20th century psychologists experimented on the behavior of the living things and gave explanations through different means. That is why in psychology many schools of different ideas originated. These schools gave the solution of the same problem through different point of views. Each group has different scope and thinking system. In educational psychology co-ordination between different ideologies to solve the education related problem is not required. These schools can be helpful in the process of education by giving contribution in their own specific field. In psychology Wundt and Titchener are the founders of the ideology of structuralism. In 1879 they founded the very first psychological laboratory in Leipzig, Germany. In this laboratory the experimental study started of mental structure and activities. According to the structuralists consciousness of human is the combination of different mental abilities and activities. In this ideology they have tried to explain the nature of the structure of mind, consciousness and experience. School of structuralism is such a thinking system of psychology whose subject scope and objective are the nature of the conscious experience of a living thing. It’s main motto is to study the conscious experience through scientific methods. Psychology surveys the internal experiences. Due to this idea a few psychologists have called this school inter philosophical. This is based on the method of internal philosophy. Through this method the different aspects and experiences of consciousness can be studied properly. They consider nervous system the basis of experience that helps to gain experience. According to Titchner the unit of the human experiences is mental element. Experience is the conscious internal structure of a human. In this the information of mind and consciousness is gained through disintegration. The three element of consciousness are—sense, talent and feeling. Sense is related to tangibility, talent is related to ideas, and feeling is related to emotions. Mind and body both have independent existence and they collectively make arrangements to mental process happen. Contribution of Structuralism in the Field of Education—This ideology has not only influenced psychology but education too. This ideology considered education as mental action and growth of experiences as motto of education. They emphasized on scientific study in the field of education and educational psychology. Emphasized on the serial inspection of the nature and structure of mental actions. This ideology has historical importance of the development of psychology through scientific method. Because of accepting the method of inter philosophy this school has worked in a limited field of psychology. They did not work in the direction of entire mind. They did not pay attention towards the problems related to the subjects, Motivation and Personality. This school was badly criticized in the beginning of 20th century. William James was the main critique. According to his view it is useless to analyze or study the elements of consciousness. We should rather concentrate on how does consciousness effect the various parts of our body. It resulted the origin of a new ideology that is called Functionalism. This ideology was developed in America (In 1842–1910). It was developed as a reaction of school of structuralism. This ideology is influenced by Durven’s theory of development. John D. V. and Ronelds Angel gave functionalism a true nature. Its philosophical background is Pragmaticism. Why? and What? Are the basis of this sect, according to Woodworth—“A Psychology that gives a correct and arranged answer to the question, what humans do? And also the further questions how do they do that? And why do they do? Is called the school of functionalism. Due to functionalism, knowing, willing and feeling were incorporated in psychology. This ideology emphasizes on the motion of the strength of mind. Chicago Community—In this John D.V., James Roneld Angel and Harberker are worth mentioning. John D.V. has specially emphasized on the utility of mind and brain the field of psychology, they enlightened that how the process of thinking works to solve the problem. John D.V. has emphasized in one of his write-ups, “The reflex is concept of psychology”, that mental function is a continuous process. It keeps on happening without the break of a moment. He discovered the relation between action and excitement. Human’s entire mental work has some motive or purpose. He did not accept that mind and consciousness is the combination mental elements like structuralism, but emphasized of the functions of the mental elements. He has emphasized on mental function. James Roneld Angel—He has given a cleared theory of functionalism. According to him where structuralism is related to element or substance, functionalism is related to the function or process. According to this he emphasizes on the information of nature of mental process and how does it work. Mental functions are edited according to the circumstances. Mind and body collectively work and help the individual to cooperate with his environment. All mental activities or functions are based on the combination of the collective effort of mind and body. Functionalism does not accept mind and body as two different things. Harvekar has called the psychology the science of mental activities. The subjects of psychology of functionalism are why? and How? Colombia Community—He founder of the school were James Kettle, Edward Thirndike and Robert Woodworth of university of Colombia. Kettle worked on association, tangible knowledge and mental physics. Thirndike worked on wisdom and learning process. Robert Woodworth earned name by writing the book “Contemporary schools of Psychology”. He has also written a book on ‘Experimental Psychology’ on the basis of various experiments he did. Due to emphasize on co-operation in functionalism dynamic psychology developed, he gave importance to motivation in behavior. Functionalism studied mind and behavior of human and animal. This resulted the origin of behaviorism. In the beginning of 20th century behaviorism was founded due to the criticism of structuralism and functionalism. Before this the emphasis was on the study of the element of consciousness. But a few psychologists considered it useless and said that the study that tells us about the effect of consciousness on our body is useful. Therefore the work of consciousness was more emphasized instead of its construction. But after sometime the technique inter philosophical method that studied consciousness was badly criticized. William James was the main critique among on the critique. Father of behaviorism was J. B. Watson. The object of behaviorism is to study behavior. Watson did not accept consciousness by considering it unclear. According to him to understand a living thing, it is important to observe and understand works of his body. Examination of entire personality of human happens through behavior and activity. Thus only study of consciousness is not useful but instead of emotions, feeling, talent, and memories. Attention should be paid towards his efforts and behavior that is tangible. These efforts and behavior are both natural and acquired that are studied by the psychologists. School of behaviorism is a group of those psychologists who study both natural and acquired behavior of a living that is tangible. Max Mayor, P. Bis, Hull and Tallman and B. F. Skinner are among the main behaviorists. In the year of 1912–14 when the movement of behaviourism was going on in America the Pscyhologists Weshref and Pavlov (1857–1936) were experimenting on associated reflex action, conditioned reflex action and motor reflexes. They experimented both on human and animal. According to the view of Behaviorism a living thing responses due to the incitement present in the atmosphere. This discourse thought over the action of the living thing and studied the actions of muscles and glands. In this the” Theory of Stimulu-Response” has been given an important place, resulted human behaves in order to cope up or become friendly with circumstances and atmosphere. In the origin of behaviourism Sir Thorndike’s contribution in the field of animal psychology is worthwhile. He did many experiments on fish, cats and hen. These experiments proved that because of lack of wisdom they learn many things through trial and error. An animal attains success to complete the work by trying again and again. These experiments are fully described in the chapter learning. Psychoanalysis indicates towards a special medical technique that was used by Prof. Freud of Vienna to cure the patients of special group of Ligament. This way for the very first time it was used as controlled meaning. It indicates towards a special sub technique of discovery of deep levels of mind. In the end this word is also used for one of the fields of knowledge that is gained through this method in this mean in applied way it is ‘The Science of Subconscious Mind’. Thus we can say that the school of psychoanalysis studies the extra ordinary behavior of human with the characteristics of subconscious mind. Freud, Adler and Yug are three main psychologists of this school who have given the different explanation of subconscious mind. The views of these respected personalities can be described in short. Along with behaviorism, near about in the year of 1912, Gestalt school originated. In German Language Gestalt School is called Gestalt psychology. The meanings of Gestalt are shape, form, whole or pattern. In the concordance of education and psychology it is called the entire shape. The psychologists of this school did not get satisfaction by analyzing only behavior consciousness and unconscious mind. According to them only analysis of behavior and experiences cannot describe the personality of a man properly, they have emphasized on the theory of association and enactment in mental study. They concentrate on main characteristics of behavioral action and consciousness and also pay attention towards the entire shape of all the parts and characteristics. For example, entire shape of the face of a man can be seen by watching the various Gestalt like eyes, nose, ears etc. Same way by keeping all the body parts together whatever look or pattern we will get that will be called a human being not by keeping it separate. If study of parts is related to whole then only it makes some sense. Same way knowledge should be understood by keeping the entire nature of feelings and actions in mind. Gestaltists have emphasized on to move from whole to parts in order to understand something, means it is easy to first get the knowledge of a complete thing as a whole. School of Gestalt is a group of the psychologists that make whole, of behavior, action, incident, man and thing, the base of their study. Kurt Levin was the founder of field theory in psychology. He was the first socialistic psychologist, but he also worked with Wertheimer, Koffka and Kohler. Therefore he was inﬂ uenced by School of Gestalt. His two books—“Principles of Topological Psychology” and” Comitial Representation and Measurement of Psychological Forces” are very famous. Kurt presented a different Ideology of psychology than the school of Gestalt. His psychological thoughts are based on Typology and vector. According to him behavior does not depends upon past or future but on present. He explained behavior on the basis of field that is why his theory is called the Field Theory. Here the meaning of field is place of life, that is the psychological world of a man. Psychological world that is also considered as physic-social environment, its psychological tangibility becomes the reason of man’s behavior. He has divided his field theory into two parts—Structure and Dynamic. According to Lewin building of field happens through man and his psychologist. In the construction of field, elements related to regions, boundary, its scope and foreign hull are incorporated. Through this man gains emotions, tangibility or stimulus and in return he expresses his reaction. Psycho-biological knowledge is necessary for psychophysical health, so that the diagnosis and prevention of decease can be done. Human body develops from whole to parts and learning process moves from ordinary to extra ordinary. Energy is equally spread in the creature or physical organs of human body. This idea introduced the theory of Equalization of Energy in psychology. A creature faces two circumstances in order to adjust with environment – first, real environment, that is in front of him and second probable environment, originated from unreal environment for that creature brings changes in his behavior. (2) Personalistic Psychologists—G. W. Allport’s name is specially known to develop science of personality among personalistic psychologists. Though Stern Introduced the ideology of personalistic psychology to the world (1906). According to stern personality has unity, value and purpose. Man is unitas multiplex. In medical psychology Stern made applied use of personalistic psychology. Allport emphasizes on the completion of an individual. Purposivism is also known as Hormic. In psychology the founder of this ideology is William Mc. Dougall of England. The word hormic is derived from Greek word horme , its meaning is motivator. Therefore psychologists who believe that motivation, motivator and purpose are important parts of psychology are called Hormic or Puposivistic Psychologists. This ideology believes that behavior begins through motivation. Motivational behavior is like achievement of goal in which two components- willpower and far sight are mixed. Purpose motivates an individual to behave. Therefore in psychology emphasizes to study those facts that motivates some work to start and end or behave. According to Mc. Dougall man and animal behave like ‘a machine’ and behavior is a quality of living thing. Under this ideology Mc. Dougall founded the theory of root instinct. Watson, Bernard and Thorndike criticized this theory of root instinct and its related emotions of Mc. Dougall and did not accept it as theory of motivation, then too it has educational importance.